The Counseling Center provides a variety of services to UNI students. Counseling services are confidential and provided free of charge to students who have paid the Mandatory Health Fee. The Counseling Center provides short-term individual counseling. You and your Counselor will discuss the actual number of sessions necessary to address your concerns. Individual counseling sessions are usually scheduled weekly, every other week, monthly or scheduled as needed. 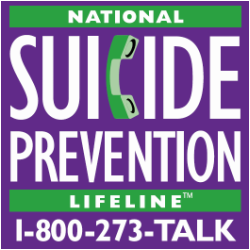 For a life threatening mental health emergency, call 911 or go to the nearest hospital emergency department. Outside of regular office hours, call the Counseling Center at 319-273-2676 and press 2 to speak to a crisis counselor. Married and unmarried students in traditional or non-traditional relationships may receive couples counseling when appropriate. In order to receive couples counseling, at least one member of the couple must be a UNI student who has paid the Mandatory Health Fee. Group counseling provides students with the opportunity to connect with others in a safe, confidential and supportive space. Groups allow students to share about their experiences with others who can understand and relate to their concerns, connect across differences to learn new perspectives, and experiment with new ideas, behaviors, and ways of being or interacting. There is a counselor on call throughout the business day for students to walk in and have brief (15 minute) consultation sessions with a counselor. These sessions offer an opportunity for students to ask questions about counseling, ask questions about specific concerns, and to receive appropriate information and referrals about resources on and off campus. The counselor on call also fields phone consultations, and assists with crisis appointments as they emerge. Because we offer primarily short-term counseling, we provide referral information for appropriate community resources to students whose needs are beyond the scope of the Counseling Center. Call or visit the Counseling Center to get information about off-campus counseling services. When appropriate, you may be referred to a Psychiatrist or Psychiatric Nurse Practitioner in the Student Health Clinic, or to an off-campus provider, for medication and consultation. You will be responsible for arranging to pay the cost of any prescribed medication or off-campus services, which may be covered by your personal Health Insurance.